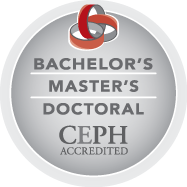 The Department of Health Promotion and Policy is part of the School of Public Health and Health Sciences, which is fully accredited by the Council of Education for Public Health and is a member of the Association of Schools & Programs of Public Health. The Community Health Education concentration has been in existence for over 40 years, and has trained and placed graduates in public, non-profit and private sectors in the New England area and beyond. A distinguishing feature of the program is the close contact students have with the faculty, and the frequent involvement in community-based participatory research. The program boasts an excellent faculty, and a number of distinguished graduates with M.P.H., M.S., and Ph.D. degrees, who are leading the way in solving the complex challenges to the public’s health and well-being.